Cruise Critic Editors’ Picks Award for TRUE NORTH! 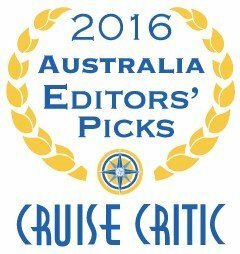 Cruise Critic®, the world’s leading cruise review site has announced its first-ever Cruise Critic Editors Picks Awards exclusively for Australian cruise operators. The awards name the best cruise lines in more than 15 categories and are featured on Cruise Critic's dedicated Australian site. This one-ship line packs a lot of punch. North Star's True North is the only adventure vessel in the southern hemisphere, featuring an on-board helicopter and six expedition boats led by six Australian guides and catering for just 36 passengers. Expertly-run activities, from fishing and diving to heli-picnics, bring out the best of our west and south coasts, the Kimberley, Melanesia, West Papua and PNG.